The Florida Diagnostic & Learning Resources System (FDLRS) provides an array of instructional support services to exceptional student education programs in school districts statewide. 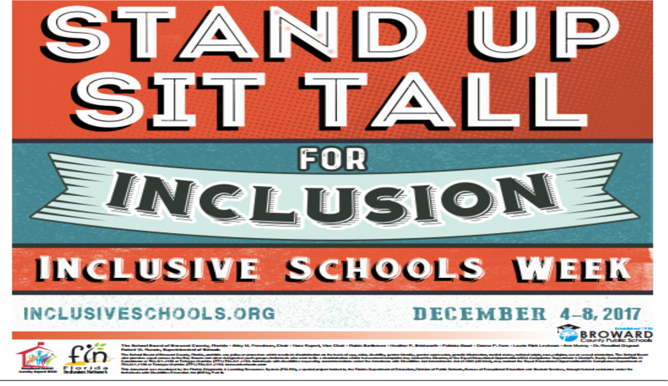 The Florida Inclusion Network (FIN) collaborates with all districts and schools to provide customized services and supports ensuring all students with disabilities have the same educational, social, and future opportunities as their peers. Coaching and resources for district and school personnel to build and sustain capacity. The "JUST DO IT...I DID!" Campaign was created in 1999 by the Exceptional Student Learning Support Division to recognize and honor the exemplary achievements of students with disabilities. The campaign is held in conjunction with the Disability History and Awareness Weeks with schools being encouraged to identify, through a nomination process, students with disabilities who have shown improvement and noticeable achievement in a variety of areas. Click here for more information.